Textbooks are a valuable and expensive resource in the classroom. 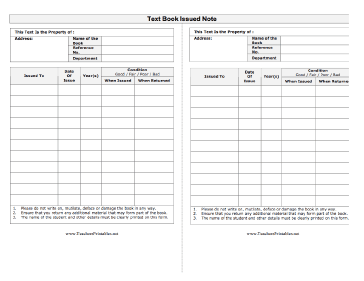 Encourage your students to take care of their books by labeling those books with this Text Book Issue Note. Record the student's name, the condition of the book when issued and when returned at the end of the term.